Shared hosting is possibly the simplest and the most basic form of hosting. 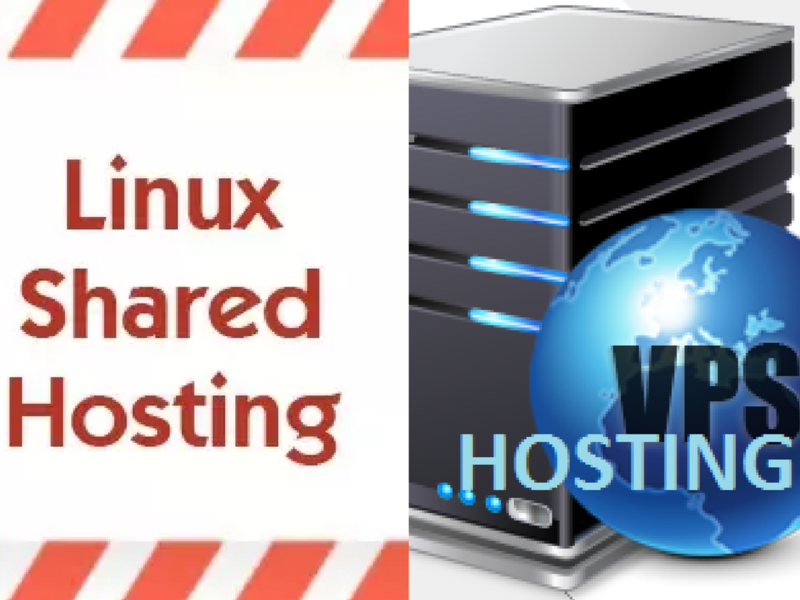 Depending upon the operating system you have, you can choose either Windows or Linux shared hosting. If you feel shared hosting is incapable to cater to your needs and requirements, you can always opt for VPS. VPS or virtual private server hosting is also a type of hosting where there is sharing of server place. However, both forms of hosting are distinctly different. We take a look at the distinctly different in their approaches and the manner in which they are managed. • Shared hosting means sharing a public server platform among several users for hosting purposes. VPS or virtual private hosting means dividing a server platform into several compartments and converting each compartment into a hosting server that is self-sustained and can be customized with respect to the use of the client or user. • Shared hosting will provide limited access to resources like space and so on. However, with VPS you will have extended space and control like a dedicated server. • In Linux shared hosting models you receive a standard software configuration for your hosting purposes. There is no way in which you can actually change it. However, when it comes to VPS, you have the control of changing software configurations as per your convenience. Similarly, you are also provided with a set of friendly controls that can be utilized for managing the server platform and making it work like you would want it to. So basically, with VPS, you have a fair amount of control over your hosting plan. • VPS offers a great deal more privacy to the clients and users. Each compartment is exclusively assigned to each user with no amount of interference whatsoever. So much so that each compartment is used as a single private server. Therefore, there is a great deal more privacy as compared to a shared server platform which provides access to each user. Although there are protective modes engaged like through passwords and so on, it is important to be careful when dealing with private and confidential information. • When it comes to prices, VPS is a tad bit more expensive than a Windows or Linux shared hosting platform owing to the several advantages it has to offer. It is about being more confident with a customized hosting plan. If you are switching to VPS with the expectations of improving upon your experiences concerning web hosting, it will certainly pay off. However, remember for a fact that VPS should never be confused with a private and dedicated platform. Opting for VPS hosting does not mean you can enjoy the benefits and advantages of a private hosting platform. It has several limitations and does not match up when compared to a dedicated hosting plan. However, it could be considered as an ideal move from Linux shared hosting plans, for clients who are on the lookout for added benefits.